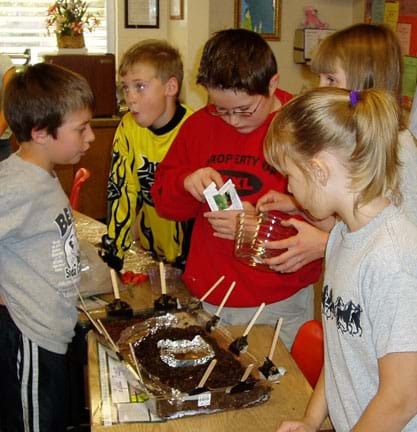 In this multi-day activity, students explore environments, ecosystems, energy flow and organism interactions by creating a scale model biodome, following the steps of the engineering design process. 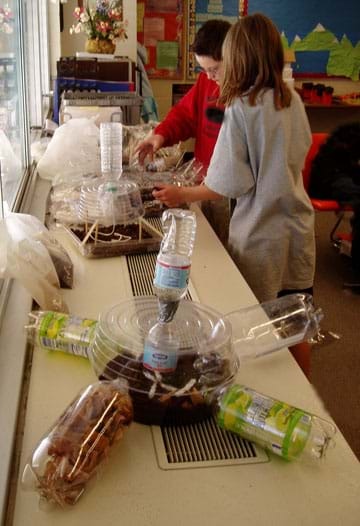 The Procedure section provides activity instructions for Biodomes unit, lessons 2-6, as students work through Parts 1-6 to develop their model biodome. Subjects include energy flow and food chains, basic needs of plants and animals, and the importance of decomposers. Students consider why a solid understanding of one’s environment and the interdependence of an ecosystem can inform the choices we make and the way we engineer our own communities. This activity can be conducted as either a very structured or open-ended design. Every day, engineers adapt existing designs for housing, structures and cities so they work optimally in specific environments and ecosystems. To do this, engineers apply their understanding of the specific environment and biosphere, along with the concept of ecosystems to inform their designs and shape the human-built environment. Engineers employ the cyclical steps of the engineering design process to creatively brainstorm, design, prototype and create our human-made world. 2 plastic containers (1- and 2-liter bottles with lids work well, or other inexpensive clear plastic trays, bowls, covers and lids) Well in advance, ask students to bring biodome construction materials from home, or rinse out plastic containers from a recycling bin. If insects are not available outside (due to the weather or other limitations), consider purchasing a small supply of crickets from a pet store. Let’s see what you know about different environments. Can anyone name an example of an environment? (Possible answers: Tropical rain forest, desert, other forest types [such as deciduous or coniferous], grassland prairie and arctic tundra.) All of these environments and ecosystems are part of our biosphere. The biosphere is the part of the Earth’s atmosphere that supports life and includes both living (biotic) and nonliving (abiotic) things. It includes all the plants, animals, weather and climate. So, what happens when we have too many organisms in one environment? It may get too crowded! We call the number of organisms in a particular environment its population. Populations are made up of all the members of a species living in the same place at the same time. We learn about population numbers, or population density, to help us understand how much of resources (such as food, water and air) are available for each individual organism in an environment. Engineers need to know about the population density and how it is distributed so they can design areas for cities, parks, roadways, and even water systems so enough is available for a community to drink and use. If you were able to design an environment, what would it look like? Would it have plants and animals in it? Which ones? How would you decide how many plants and animals you would put in your environment? Would you also live in your environment? How would you get the right amounts of air, water and food for each of your plants and animals? Well, engineers actually design artificial environments that consider all of these things. These environments are called biodomes. A biodome is a model that is designed to represent a particular environment and the community of organisms that live there. Biodomes are used to study ecosystems and attempt to model how living and nonliving things interact in those natural environments. The goal of a biodome is to create an environment that has enough resources for every plant and animal, creating a balance or equilibrium. Engineers come up with all sorts of cool designs using the engineering design process and eventually they settle on one to create. Biosphere 2 in Arizona, USA. Who knows something about the engineering design process? It is the set of steps that engineers take when they develop a new or improved product. Can you think of some of the steps an engineer may need to complete when designing something? Well, first they have to have a problem or a need. Then, they brainstorm creative ideas and solutions to that problem or need. Next they select the most promising idea, and draw or communicate the idea to others. Finally, they build a model of the design and evaluate whether or not that design is successful. Countries from all over the world have started a new project to create the best biodome yet! This new biodome will represent all the different climates and landscapes on the globe. The organizing committee has asked engineers from all different countries, including you, to help them in the design process. They request that you create a small-scale version – or prototype — of your design. Your design must only include one climate and landscape. When all the designs are done, one of them will be selected as the winner, to be built. So, it is time to put on your engineering hats and start thinking about how to make the best biodome. First thing to do is brainstorm your ideas and then make a drawing. Are you ready? brainstorming: A technique of solving specific problems, stimulating creative thinking and developing new ideas by unrestrained and spontaneous discussion. ecosystem: A functional unit consisting of all the living organisms (plants, animals and microbes) in a given area, and all the nonliving physical and chemical factors of their environment, linked together through nutrient cycling and energy flow. An ecosystem can be of any size — a log, pond, field, forest or the Earth’s biosphere — but it always functions as a whole unit. engineering design process: The design, build and test loop used by engineers. The steps of the design process include: 1) Define the problem, 2) Come up with ideas (brainstorming), 3) Select the most promising design, 4) Communicate the design, 5) Create and test the design, and 6) Evaluate and revise the design. model: (noun) A representation of something, sometimes on a smaller scale. (verb) To simulate, make or construct something to help visualize or learn about something else (as the living human body, a process or an ecosystem) that cannot be directly observed or experimented upon. This activity can be conducted as either a very structured or open-ended design. For a more structured lesson, direct the students to build model biodomes as described in Figure 1. 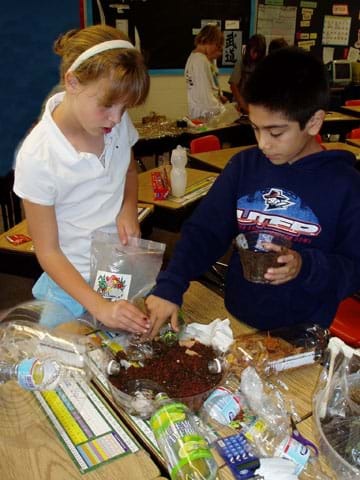 Otherwise, provide students with a variety of materials and set them loose to design a biodome structure of their own imagination (see Figure 2). Gather materials and make enough copies of the Biodomes Engineering Design Project Workbook: Lessons 2-6,, one per team (staple the pages together to make workbooks). Figure 1. 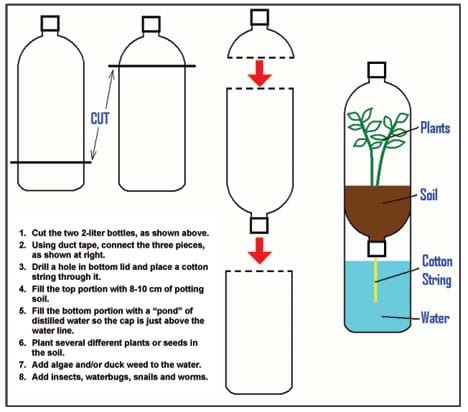 Steps to build a simple model biodome using two, 2-liter plastic bottles. Give each group a Biodomes Engineering Design Project Workbook: Lessons 2-6. After the students have brainstormed their ideas and shared a few with the class, have them pick one of their ideas from which they will build their team’s model biodome. Figure 2. 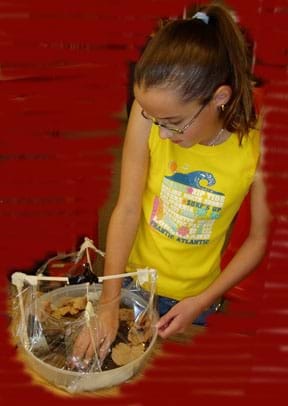 Students are creative in their open-ended model biodome designs. Have several student teams share their food chains or food webs with the class. Discuss the flow of energy through each of their model biodomes. Inform the students that today they will collect animals from outdoors to place into their biodomes. Before they go outside to collect the animals, they need to plan what kind of animals they can have inside. Make a list on the board of possible animals (insects) that the students may find to put in their biodome. (Ideas: grasshoppers, crickets, snails, ants, flies, moths, box elder bugs, June bugs, water bugs. Worms will be added in the decomposition activity, Part 6.) Also make a list of food sources that those animals require. Ask the students what kinds of problems they might have in picking which animals to put inside the biodome. Explain that they do not want the animals to be eaten by the other animals in the biodome. If this happens, all the animals would die once their food source is gone. Also explain that engineers are often limited by the materials that are available to them. In this case, the students are limited to the animals they can find outside their classroom, mostly insects. Returning to class, ask the students to place their insects/animals into their biodomes and observe what they see. 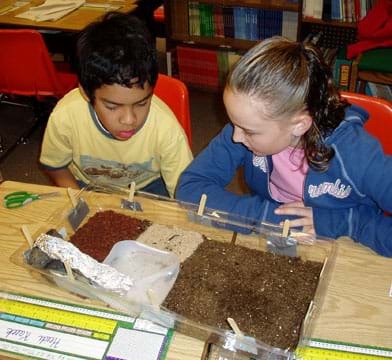 Inform the students that today they will collect worms from outdoors to place into their biodomes. The worms help to break down animal and plant wastes into more useful soil and nutrients. Ask the students what kind of problems they see with putting animals and plants into a biodome. Lead them to realize that it is very difficult for humans to make a safe atmosphere for all the different types of plants and animals and that often some of the plants and animals die in their new locations. 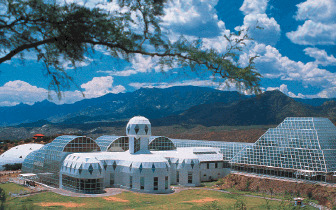 While the idea of biodomes is a very popular one, there have not been many successes. Engineers work with biologists and other scientists to try their best to design environments in which the animals can live as if they were in nature. Have them answer the review and evaluation questions in their workbooks. Exhibit the completed model biodomes, along with the completed team workbooks in the school library, display cases or at parents’ night. For Part 5, if insects are not available outside (due to the weather or other limitations), consider purchasing a small supply of crickets or snails (often free since they usually have too many) from a pet store, or potato bugs from a science lab. Note that snails and aquarium plants should not go down the drain or into a nearby stream as both are nasty invasive species. Instead, explain to the students that you’ll find a home for them, and then either return them to a suitable aquarium elsewhere or destroy them. Workbook: Have students follow along with the activity using the Biodomes Engineering Design Project Workbook: Lessons 2-6. Ask the student teams to complete the questions in the workbook after they have finished each part of creating the biodome. After students have finished the workbook questions, have them compare answers with their peers. Review their answers to gauge their mastery of the subject. Engineering Poster: Using the knowledge they learned in the biodomes lessons and activities, have student engineering teams each create a poster to present their best design for a biodome of a particular environment. Ask them to title their posters with an engineering company name that they invent, such as, Eco Engineering Corporation. Have students make a bar graph representing the class’ biodome diversity. Have students make a bar chart of the animals and plants they included in their biodomes. Gather all class data and make a class chart as a demonstration. From the data, ask the students how biodome engineers make sure they gather an appropriate sample of plants, animals and decomposers. (Point out that most of students probably gathered the easiest animals and plants to find. What would happen if biodome engineers did this? Would it be a good representation of life?) Then, ask the students to do this for their own biodomes. For upper grades, there are numerous ways to scale up this project. Give students more constraints on materials and size, and/or come up with other “customer” requirements. Add a math component by requiring them to draw their designs to scale, or measure and graph the growth of their plants, or survival rate of their animals and decomposers. 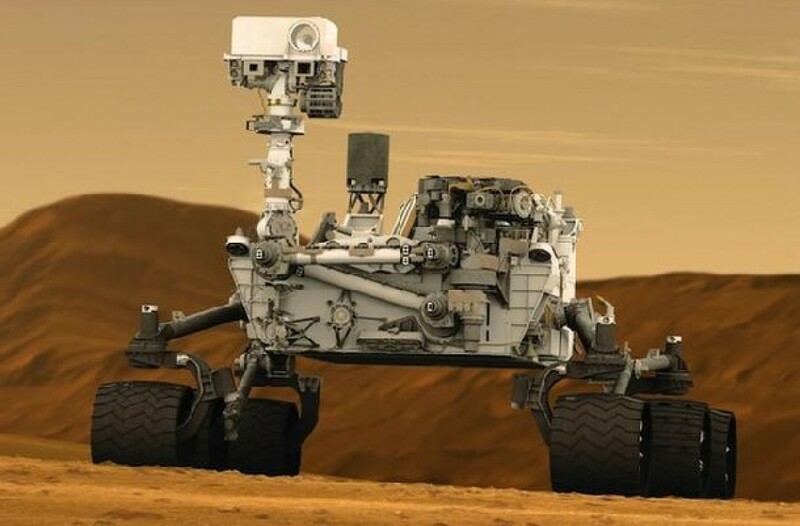 You could also have students design their biodomes using a computer-aided design software application. Require the student teams to present their projects to the class as if they were a professional engineering firm.